Shake with ice and strain into a flute glass. Top with 1 oz prosecco (Gruet Blanc de Blancs) and garnish with a lemon twist. Two Fridays ago for the cocktail hour, I flipped through Food & Wine: Cocktails 2013 and settled on the M-80. 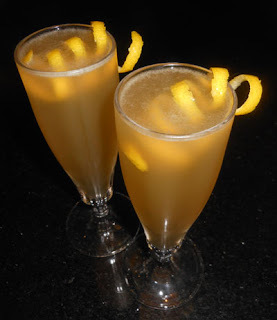 The drink was created by Erin Harris of Jimmy's in Aspen Colorado as her riff of the French 75. With the Ransom Old Tom and the Amaro Montenegro, the M-80 shared extra herbal notes to the lemon oil aroma of a regular French 75. 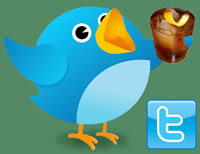 Next, a carbonated lemon and grape sip led into a crisp juniper and herbal swallow with a winey finish.